Getting a good look at the water birds which inhabit the vegetative fringe of dams is fraught with difficulty. Although they are often seen foraging in the pastures around a dam, the mere slight of a human will send them scurrying out of view into the reeds. This is particularly true of their chicks. This week however I had occasion to spy some Purple Swamphens (Porphyrio porphyrio) (adult pictured left) and their chicks out in the open. 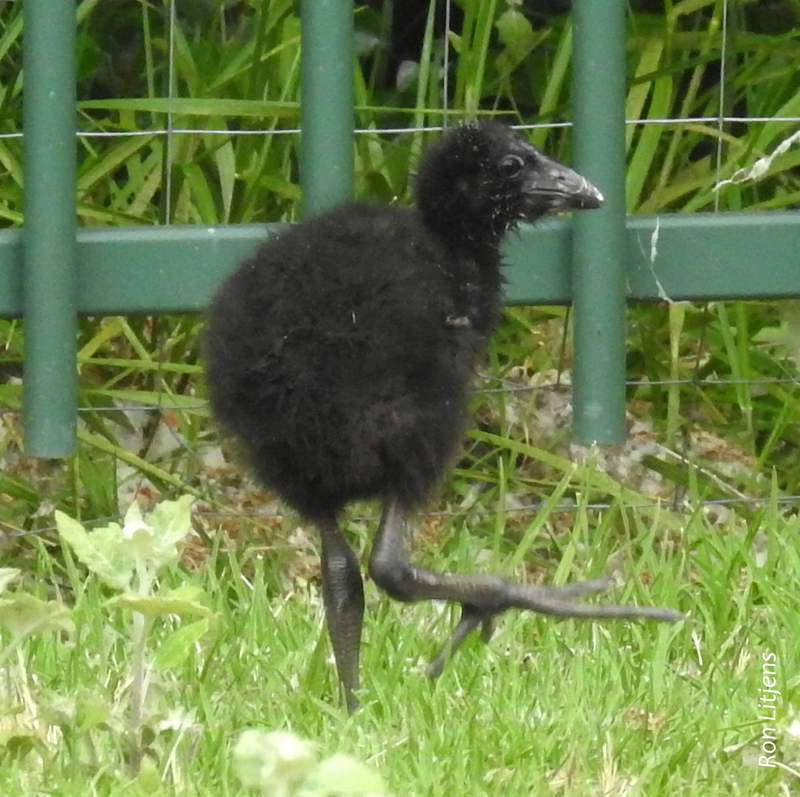 Swamphens are good swimmers despite the fact they do not have webbed feet. Their diet mainly consists of reed shoots and aquatic fauna such as frogs. Nests are built of matted reeds or on floating debris just above the water level in swamps and dams. 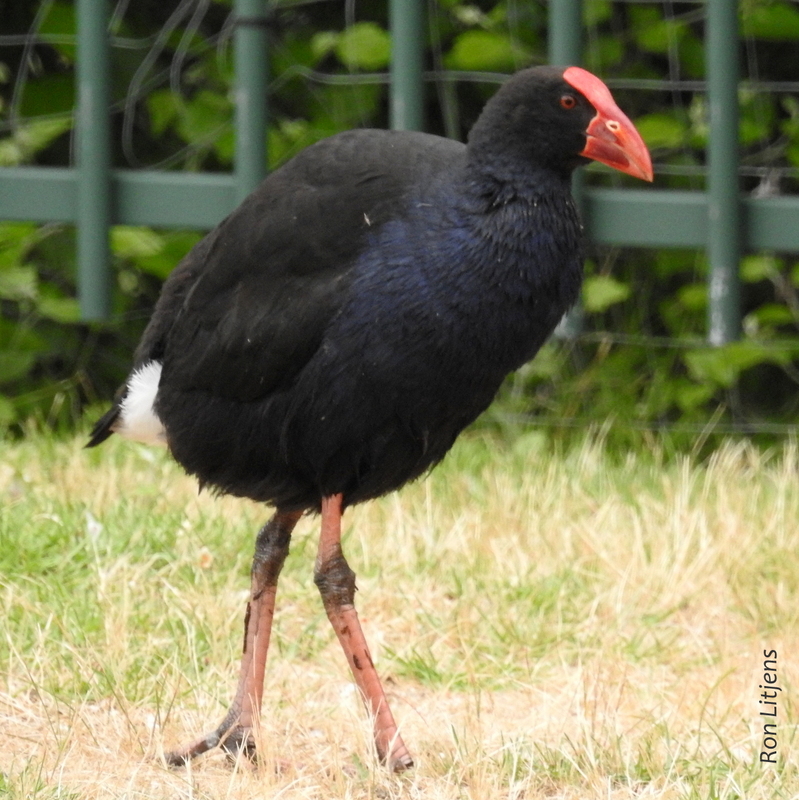 Swamphens are able to clamber across reed beds because their large feet spread the weight of the bird over a large area. 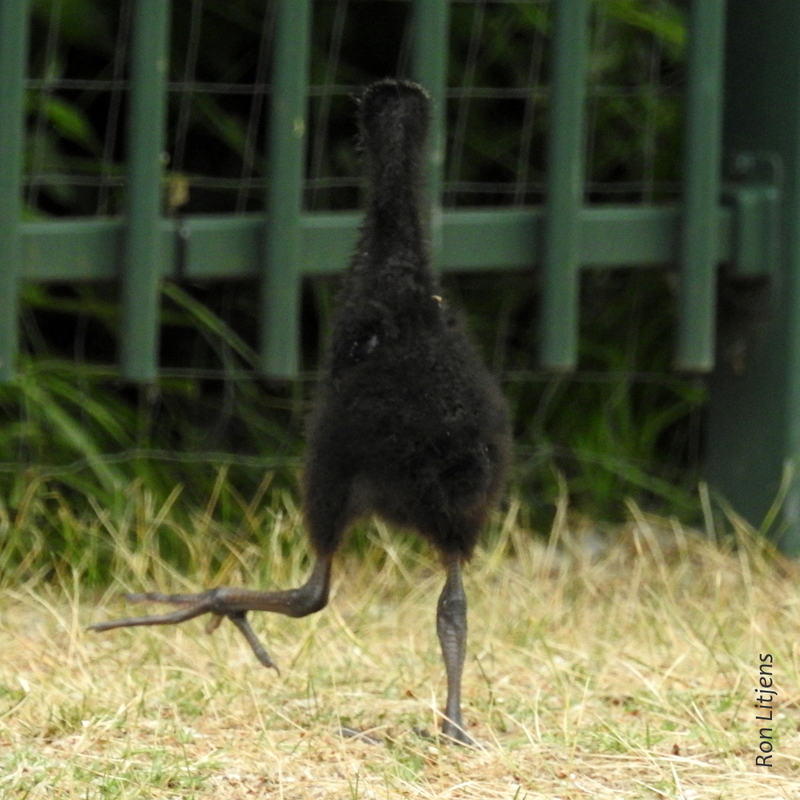 The size of the feet is unremarkable until you see them on the chicks (pictured right and below). The feet are also used to grasp food. With feet that big a Double Whopper with Cheese would present no problem at all.